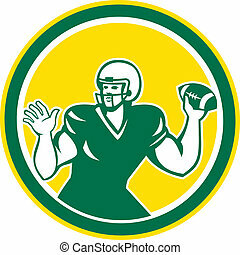 American football placekicker circle retro. 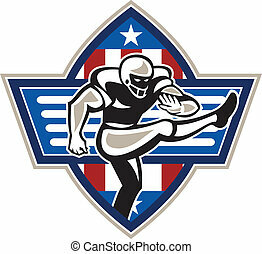 Illustration of an american football gridiron player placekicker kicking set inside circle with stars and stripes in the background done in retro style. 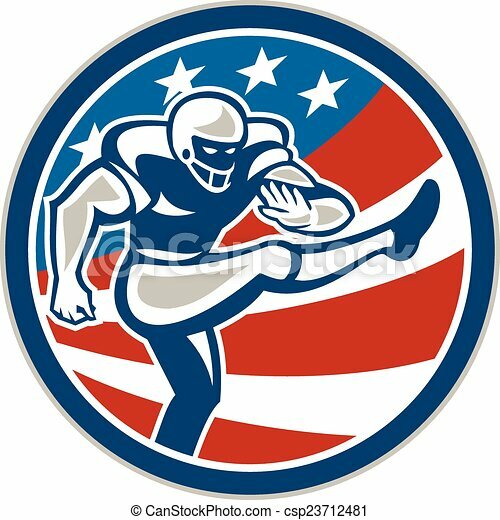 Illustration of an american football gridiron player placekicker kicking set inside circle with stars and stripes in the background done in retro style. 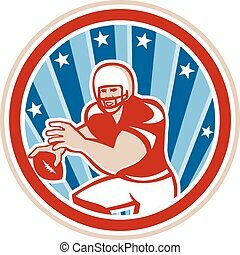 Illustration of an american football gridiron player placekicker kicking facing side done in retro style set inside stars and stripes ball . 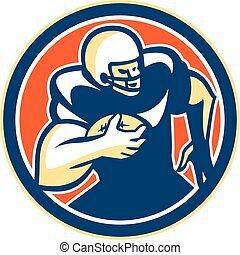 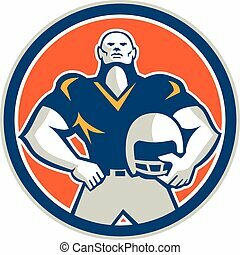 Illustration of an american football gridiron player running back with ball facing front set inside circle done in retro style. 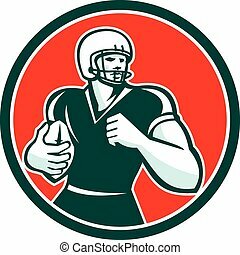 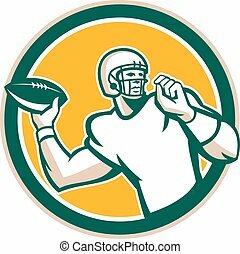 Illustration of an american football gridiron quarterback qb throwing ball set inside circle on isolated background done in retro style. 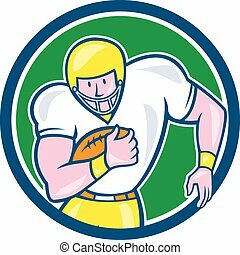 Illustration of an american football gridiron player fullback holding ball viewed from front set inside circle on isolated background done in cartoon style. 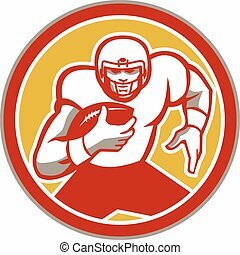 Illustration of an american football gridiron player holding ball running rushing set inside circle on isolated background done in retro style. 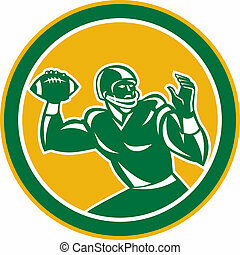 Illustration of an american football gridiron quarterback player throwing ball facing side set inside circle with stars in background done in retro style. 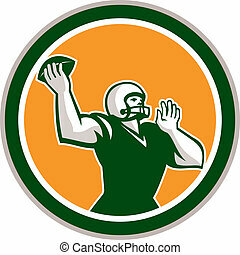 Illustration of an american football player holding helmet hand on hips viewed from front set inside circle on isolated background done in retro style. 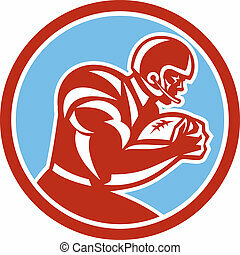 Illustration of an american football gridiron player holding ball running rushing viewed from the side set inside circle on isolated background done in retro style. 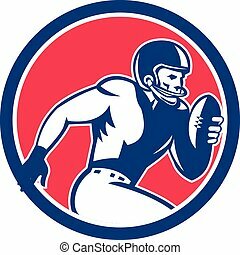 Illustration of an american football gridiron player running back with ball looking to the side set inside circle on isolated background done in retro style. 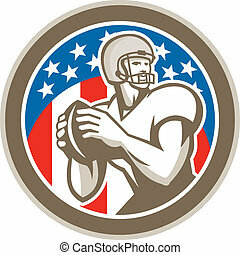 Illustration of an american football gridiron quarterback qb holding throwing ball viewed from front set inside circle with stars and stripes in the background done in retro style. 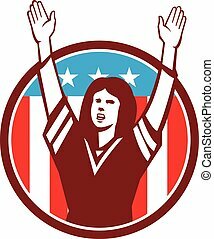 Illustration of a female american football fan with hands raised up viewed from front set inside circle with american usa stars and stripes flag in the background done in retro style.